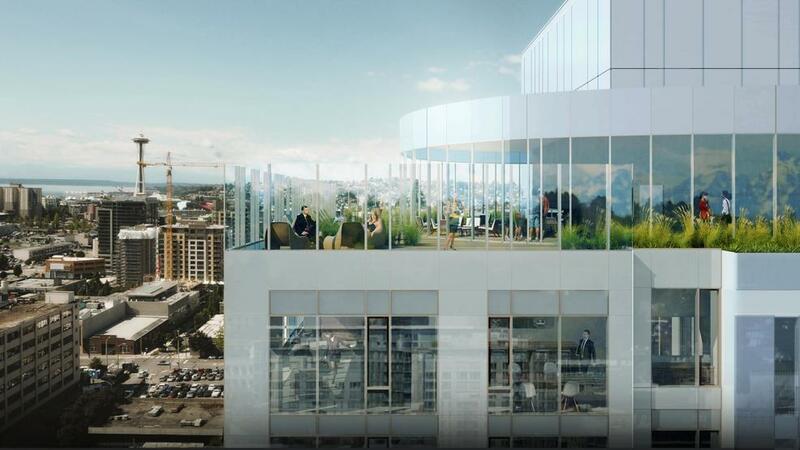 AMLI Arc (Arc) is bringing an edge to luxury living in the center of Seattle, creating an experience that can only be fully grasped in virtual reality (VR). Some new apartment buildings in South Lake Union feel, to be blunt, staid and dull. That’s why AMLI Arc (Arc) is bringing an edge to luxury living in this neighborhood at the center of Seattle’s new energy, creating an experience that can only be fully grasped in virtual reality (VR). Before AMLI Arc opens, prospective residents can see, move about in and interact with 41, Arc’s top floor underground social club, and a two-bedroom apartment, complete with highly realistic furnishings and materials. The VR experience was created using the popular game engine Unity and built for the HTC Vive VR system. All you need to do for the full experience is grab a Google Cardboard headset from Arc’s VR tricycle that’s always about town or from their leasing space, add your phone to the headset, and go to Arc’s website to walk through 41 and a model apartment unit. It’s that easy and will upend all your expectations. Virtual reality is the only way, for now, to truly understand the experience of Arc’s design-bending myriad of amenities and apartments, specifically 41, which will be a deconstructed underground club looking out over Downtown Seattle from 41 floors up. It will be a raw, creative hang-out space, open to whatever in every direction. Spaces include the Edge Lounge, plus a media box, game zone, co-working and collaboration space, exhibition kitchen and group dining area, outdoor terrace with seating, fireplaces and grills, and breathtaking city views. A private party area features its own kitchen, dining room and outdoor spaces. Other community amenities include a cross-training gym and workout studio, maker/gear workshop, bike lounge and repair room with lockers, two Luxer One package rooms and canine social club and spa. The building is designed for LEED Gold environmental certification. Homes range from more than 30 floor plans of open one-bedroom apartments to three-bedroom penthouses, with a warehouse-inspired vibe to lower-level apartments and a more polished, minimalist feel starting halfway up the building. All have airy 9-foot ceilings in living areas, expansive windows, two finish levels and color palette options, wood flooring, gas stove ranges, tile flooring and surrounds in bathrooms, ceiling fans in bedrooms, Nest thermostats, air conditioning, room-darkening solar shades, closets with customizable shelving systems and grey accent finishes, tech niches, device-charging shelves in entryways, and washers and dryers. The gourmet kitchen in each home features quartz countertops, tile backsplashes, stainless-steel appliances, under-cabinet lighting and soft-close drawers. Select homes add balconies and five-piece bathrooms with Roman tubs. When life calls for venturing out of Arc, everything is close by. Featuring of Walk Score of 96, Arc has one foot in South Lake Union and the other in Capitol Hill – a social experiment that yields soulful results. Find low-key live music and late night liquor lounges, mad experimental art and historic indie movie houses. From warehouse-style pool halls to Japanese karaoke, moody tattoo parlors and even a Turkish hamam, you’ll never have an average day in the neighborhood. Homes will open for move-ins starting later in October, but the virtual reality experience is available now. Visit bit.ly/AMLI-Arc to learn more about pricing, availability and floor plans, and schedule a virtual reality tour.